My mom is an amazing woman. 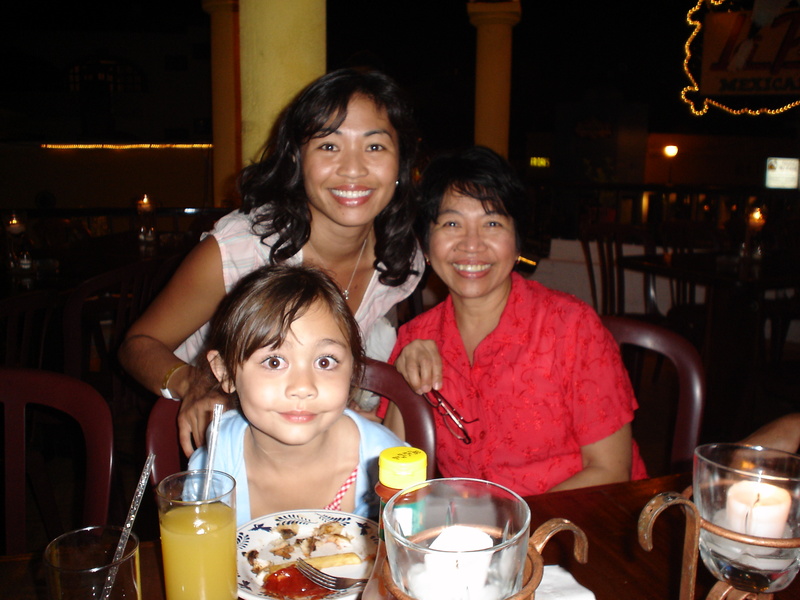 When I was 2 she traveled 23 hours by herself to the United States from the Philippines (apparently she was wheel chaired out of the airplane). My dad had immigrated 6 months beforehand to find a job and a place to live so we could start ‘The American Dream’. They left everything and everyone they knew to provide a better life for their children. My mom was a working mom, we did not have much money since we were starting fresh so she took the first job she could get as a social worker for Detroit and stayed there 30+ years, never utilizing her degree in nutrition. Although she worked 8 hours a day, she never missed a school function or recital and was always there when I was sick, sacrificing vacation time and sometimes even pay, I had no doubt that my mom would always be there when I needed her. Recognizing my love for music, my parents sacrificed a couple paychecks to buy me a piano and also enrolled me in jazz, ballet, and tap at a very young age. We originally lived in a diverse Detroit community, but when we moved to a predominantly Caucasian suburb when I was 9, life got a little difficult for me. I was incredibly shy and was teased because I was ‘different’. By the time I was in Junior High, I wanted to move back to the Philippines. My mom said, ‘For one year, get involved in everything possible at school and if after one year you still hate it, you can go.” She was teaching me to persevere and overcome and I didn’t even know it! Obviously, I stayed. I was Student Body President, in choir, track, tennis, on yearbook committee, Honor Society, Math Olympics…just everything! I made many friends and found a sense of belonging. Her support continued through high school, college, and beyond. She was there for the birth of my two children (I was in Indiana for the third) and is still there for almost all of their events. When I was diagnosed with cancer the first time, she literally fell to the floor, but rose to the occasion (of course) by being there every single step of the way. My mom is known to her friends as a kind and generous woman, a giver of her time and resources. Our house was always open to those in need; I can’t even remember how many people lived with us as I grew up. She taught me many things about being a woman and being a mom. She taught me to persevere, to be independent, to treat others even better than you treat yourself, and to always be thankful for our blessings. I always felt loved and important. Thank you mom, I love you. Yes, mom’s have a big job and incredible influence on their children. This week my lip color is Le Metier De Beaute’ Lip Crème in Chocolate Cream. It is a beautiful medium brown with golden undertones (the texture is awesome!). I chose this color because mothers are as precious as gold (and chocolate)! Happy Mother’s Day!